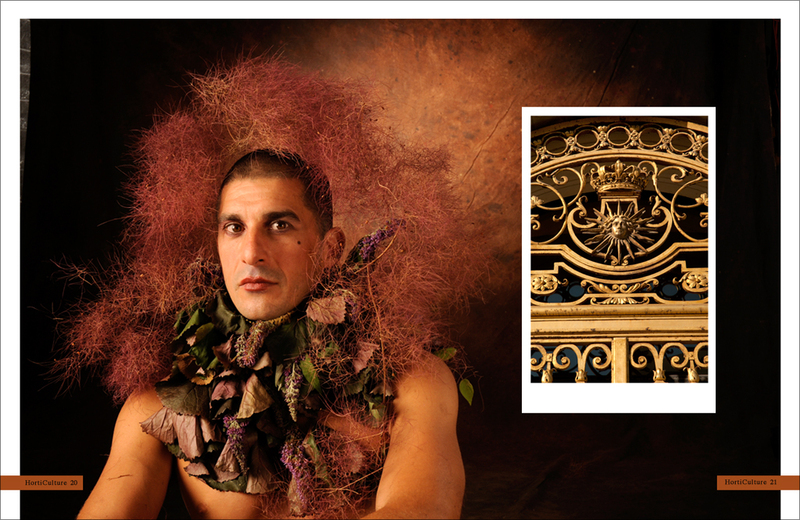 The decadence of Sun Kings: portrait of a young man wearing a collar of fresh Ligularia and a photo of the golden doors of Versailles. The premise of this futuristic magazine is that there are no advertisers therefore no staff, no money for writers only artists, who as usual don’t get paid. This mad editor is the descendant of the once powerful media conglomerates and he has inherited an old press and like a steampunk revivalist he decides to delve into the archaic art of printing on paper.